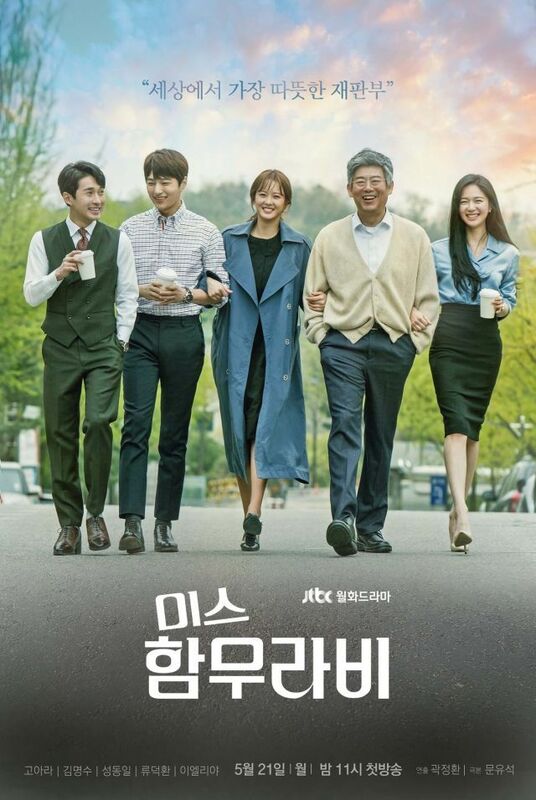 I can see why many people liked Miss Hammurabi. Not because of its extraordinary, out-of-this-world cases, the cases were actually simple and something that could occur in real life. Drama’s popularity was due to its writing actually. The writer communicated the cases as humble as possible and it touched our hearts. The writer took us to see the cases from different point of view. I was engaged in every case and the second time I rewatched Drama, the more I felt attached to it. Drama brought up many things that occur in real life i.e the idol case in ep 2. It actually happened in real life just recently! (read more about it here, can’t remember the group name and google didn’t help much) then the pastor case! The pastor case was based on true case. Drama also brought up many social issues, i.e the prejudice married women get at workplace, the pressure from higher-ups, the sexual harassment at work place, etc. Writing was neat from the start. Every case was engaging. The side characters were fun and added value to the story. I liked how the writer made the characters black and white, very straightforward. Most of the time you could predict their next action and it was sort of fun?? It made me, somehow, felt more connected to them. Every character was different but they complemented one another. I especially adored Go Ara, Park Cho Oh Reum, character the most. She was bold, wasn’t afraid to voice out her opinion even though it risked her whole career. Let’s be honest, her subway scene in ep 1 was hella refreshing! We need more female character like Park Cho Oh Reum!! Im Bo Reum!! Is he my long lost brother because he’s 100% meeeeeeeeeeee. Im Ba Reum was a self-centered person who thought only himself. Cho Oh Reum somehow turned him into a more open person. And I adored his character development. Both leads were surprising for me. I’ve watched many of L/Myungsoo‘s acting gigs but he had never left strong impression so I wasn’t very looking forward to his performance here but L was great in this drama. The same goes to Go Ara. Finally she has a new representative acting project under her belt beside Banolrim. Very looking forward to both acting gigs in the future. Lee Elijah was such a badass. She successfully portrayed cold and chic. She was a total girl crush. I adore the whole setlist! Oh in case you don’t know, the whole setlist can be found in Spotify! In case, you do not have MelOn account and this whole time just streaming from youtube, but you do have Spotify, please stream from Spotify instead. The whole album is available over there. My personal favorite is Someday, Somehow by U-mb5 ft Hodge. Unlike my usual self that hates when a drama use full english song as the title OST, I feel like this song really fits drama as a whole. The song is now part of my heavy rotation. Drama was interesting from start to finish. I liked that there was no over dramatic thing going on. Many memorable dialogues that touched my heart. I’m very satisfied with Drama and really recommend it to others. I give it a solid 9.5 out of 10!